The Tahoe has long been a staple of the suburban driveway. 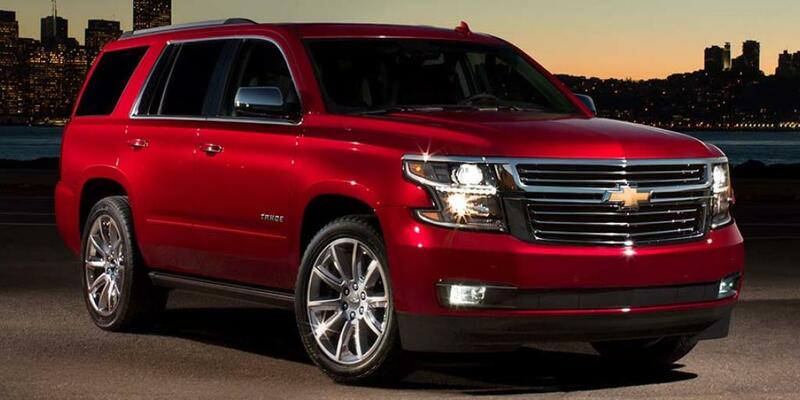 For good reason, few SUVs blend luxury, comfort, and utility with commanding road presence like the Tahoe can. It’s a safe, solid family vehicle capable of towing your toys and tots alike. With a powerful V8 and whisper quiet cabin, it’s one of our favorite SUVs for road trips and it may just become yours as well. To be frank, there are many mid-size SUVs on the market that provide equal seating and cargo capacity that are much more livable. They get better gas mileage, handle better, and are easier to maneuver in parking lots. The Tahoe distinguishes itself in its ability to tow. If you don’t need to tow, then the Tahoe isn’t much of a value proposition. You should consider the Traverse which has larger cargo capacity, improved efficiency and is much easier to drive. A Premier trimmed Traverse is several thousand cheaper than a base Tahoe and a leather-trimmed Travers can be had for 10,000 dollars less than the base Tahoe. For its size, the Tahoe is a surprisingly quick SUV in a straight line. The 5.3 Liter V8 makes 355 horsepower and hustles the nearly 3-ton truck from naught to sixty in just 7.5 seconds. Many much smaller SUVs are slower. However, the driving dynamics in the Tahoe are vastly different from much of the market today. Most SUVs are now built on car-based platforms. The Tahoe is a body on frame design based on the Chevy Silverado. The truck roots cause the Tahoe to handle, well, like a truck. This means the Chevy is neither agile nor nimble. Cornering causes massive amounts of body roll. However, the Tahoe wasn’t built to offer sedan-like performance. It was built for truck-like utility. The Tahoe excels at towing. WIth a towing capacity higher than its weight, and an optional package that increases ability, few SUVs are as capable while trailering. The max trailering package adds a sturdier axle and a trailer brake controller for more serious towing. The Tahoe’s size makes it a great highway cruiser and excellent for road trips. If you mainly drive in this city, there are better-suited alternatives with an equal seating capacity that handle better while using less fuel. Inside the Tahoe, you will find an impressive cabin. The base models use cloth-wrapped seats, but upgrade to the LT model and higher and you will find excellent leather trimmed seats that are both comfortable and supportive. The interior is incredibly quiet, thanks to acoustic glass and triple door seals. Recent models receive Chevy’s excellent MyLink infotainment system with an intuitive app-based interface. The standard rearview camera makes parking this brute much easier. Standard OnStar 4G LTE keeps the whole family connected. The base model arrives equipped with three benches, allowing seating for up to 9. The LT trim is available with a second-row bench, or buckets at additional cost. These configurations seat 8 or 7, respectively. The column mounted shifter feels a bit dated but does free up space in the center console. The driving position is high, giving the driver a commanding view of the road. There are plenty of power outlets and USB ports throughout the cabin to keep devices charged and a console mounted wireless charging system is optional. The infotainment screen also raises to reveal a hidden storage compartment with an additional USB port, a great place to stash an old iPod with your favorite tunes. The third row is a bit cramped for adults, so those who need an adult-friendly third row should consider the larger Suburban. Cargo capacity is low for such a large SUV with just 15.3 cubic feet behind the third row and 51.6 with the third row folded. The LT trim and higher have an excellent overall interior quality, comparable to many luxury SUVs and sedans. The Tahoe’s truck-based design gives this SUV unparalleled road presence. It’s big with clean, box-like lines that flow well throughout. The overall shape and design are quite similar to the previous generation. The new headlights and LED taillights distinguish the latest generation from the preceding. The updated headlight design gives the Tahoe better visibility from the side, which reduces the likelihood of a collision. Lower trims are furnished with 18in wheels while upper trims sit on 20in polished aluminum wheels. 22in wheels are available at an additional cost. Overall the exterior did not change much from the ‘07-’14 design, which is a good thing. We think the previous generation Tahoe is one of the most handsome SUVs on the road. Consumer Reports offers its lowest predicted reliability rating for the Tahoe, with a one out of 5. According to their research, the last few model years were plagued with electronics problems, suspension problems, and power equipment problems. JD Power is more optimistic and awards the Tahoe a 3.5 out of 5, indicating a score somewhere between “average” and “better than most.” Our research turned up several Technical Service Bulletins from the NHTSA and known issues. The 2015 model has a staggering 318 TSBs issued, while the 2017 has just 35. 2015 was the year the latest generation was released, so it makes sense there were more problems than later in the generation. However, it’s safe to assume the number will climb for the 2017 as well. Earlier models were plagued with mechanical issues pertaining to the transmission, cooling system, ABS system, and engine. Proper maintenance of these systems reduced the likelihood of these problems persisting, but you should have a qualified mechanic inspect a used Tahoe carefully for these common problems before purchasing. The most recent generation seems to suffer from electronic issues like window actuators and air conditioning failure. The previous generation has a dash that is prone to cracking, a faulty gas cap, and a throttle position sensor failure that causes poor engine performance. Fortunately, the ubiquity of the Tahoe means there is plenty of information and parts available to resolve these issues and many of them can be fixed efficiently. We recognize that many of the Tahoe’s strengths outweigh its dodgy reliability record and it may be the SUV for you. Just make sure you do your homework on the specific Tahoe you are considering. The latest generation Tahoe receives a 4-star overall rating from the National Highway Traffic Safety Administration, with a 3-star rollover rating preventing a perfect score. These trucks are tall and their body-on-frame design detracts from their handling ability. The previous generation received the same rating, with rollover being the only area of concern. The Tahoe is equipped with seven airbags standard. Models with 2nd-row bucket seats are endowed with an eighth airbag that prevents the passengers in these seats from colliding with one another in the event of a collision. Newer models have a long list of available safety technology like low-speed automatic braking and lane departure warning that enhance the safety profile of this large SUV. A standard teen driver feature allows you to set volume and speed limits to give you peace of mind when your young ones are behind the wheel. OnStar provides a number of services that reassure your safety, including automatic collision notification, remote unlocking, and roadside assistance. The Tahoe is an SUV with excellent safety characteristics. 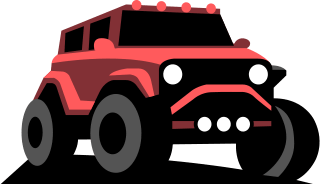 If you need a large, truck-based SUV to tow your boat or trailer, there are few alternatives and most of them are also part of the GM family. However, if you’re mainly looking for seating for 7 and ample cargo capacity, you should consider the Honda Pilot which has similar interior space with much better driving dynamics and fuel economy. A truck-based alternative to the Tahoe outside the GM family is the Ford Expedition, which receives higher towing and reliability ratings. Instead of a large V8, the Ford is powered by a twin turbocharged V6. The power ratings and straight line performance are similar, as are the driving dynamics. The Expedition’s cargo capacity surpasses that of the Tahoe by several cubic feet. While the base Expedition is a few thousand dollars cheaper than the base Tahoe, upgrading to leather and other niceties is much more costly in the Expedition than the Tahoe. The technology available in the Chevy is far superior to the that found in the Ford. You can still connect to the Ford SYNC system via Bluetooth but it does not offer Apple Carplay or Android Auto, nor OnStar 4G LTE. Further detracting from the Ford’s appeal is the lack of available advanced safety features found in the Tahoe like lane departure warning and low-speed automatic braking. We recommend the Tahoe as a better overall choice, but the reliability of the Expedition makes it a rather attractive alternative. The base LS Tahoe arrives reasonably well-equipped with a MyLink infotainment system, rear vision camera, rear park assist, remote start, trailering package, and OnStar 4G LTE with hotspot for an MSRP of $48,510. An enhanced driver alert package costs $695 and adds advanced safety features like low speed forward automatic braking, lane keep assist, driver alert seat, forward collision alert, power-adjustable pedals, and IntelliBeam headlamps. An All-Season Package equips 20x9in aluminum wheels, body color side moldings, black cross roof-rack rails, max trailering package with 3.42 rear axle, rubber floor mats, and rear cargo mats for $2,880. All-Wheel-Drive is available on all trims for an additional $3,000. For $53,750, the LT trim provides forward collision alert, a power liftgate, a Bose 9-speaker sound system, auto-dimming rearview mirror, a telescopic steering column, a driver information system, lane keep assist, memory settings, power-adjustable pedals, a universal home remote, rear cross traffic alert, and availability of many more packages and options. A Luxury Package that equips a power folding third row, keyless entry, push button start, heated second row, upgraded mirrors, wireless charging, hands free liftgate, front and rear park assist, fog lamps, and heated steering wheel with memory function for $2,995. For $2,880, the Sun, Entertainment, and Destinations Package furnishes NavTraffic, power sunroof, and a rear seat Blu-ray entertainment system. The Texas Edition costs $3,245 and adds a Texas emblem, keyless entry, push button start, heated second row with power-release, memory power-adjustable heated steering wheel, wireless charging, hands free liftgate, fog lamps, front and rear park assist, rear cross traffic alert, blind zone alert, and black roof-rack cross rails. For $6,770 including either the Texas Edition or Luxury package, the LT Signature Package dresses up the Tahoe with 20in chrome wheels, bright body moldings, chrome grille insert, polished exhaust tip, chrome recovery hooks, and chrome assist steps. The Midnight Edition costs $1,835 and adds 20in black rims, black bowties, black roof rails, and requires black paint. Finally the Premier trimmed Tahoe will set you back $63,435 and outfits the Tahoe with magnetic ride control suspension, keyless entry, push button start, front and rear park assist, body color moldings, 20in wheels, fog lamps, HID headlamps, hands free liftgate, MyLink with navigation, second row buckets, power folding third row, leather heated steering wheel, wireless charging, rear cross traffic alert, blind zone monitoring, and lane departure warning. The Sun, Entertainment and Destinations Package is available on the Premier as well, at a discounted price.